This month I'd like to share a simple colorwork stitch that looks almost as cool on the wrong side as the right side, the Brick and Mortar Stitch, aka Brick Stitch or Brick Wall stitch. It is worked in two colors across a multiple of 4 sts +1. Row 1 (RS): With Color A, k all sts. 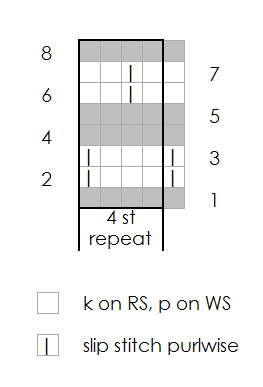 Row 2 (WS): With Color B, [sl 1, p3] to last stitch, sl 1. Row 3: With Color B, sl 1, [k3, sl 1] across. Row 4: With Color A, p all sts. Row 5: With Color A, k all sts. Row 6: With Color B, [p2, sl 1, p1] to last st, p1. 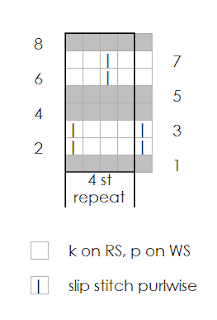 Row 7: With Color B, k1, [k1, sl1, k2] across. Row 8: With Color A, p all sts. Repeat Rows 1-8 for the desired length. 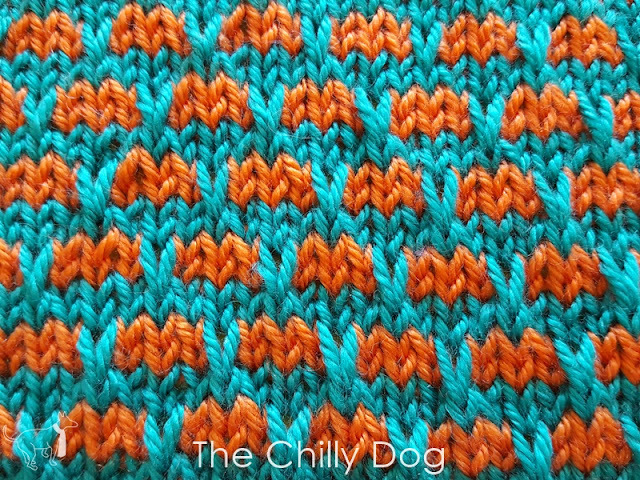 This is what the stitch looks like on the wrong side. There's a very subtle texture. 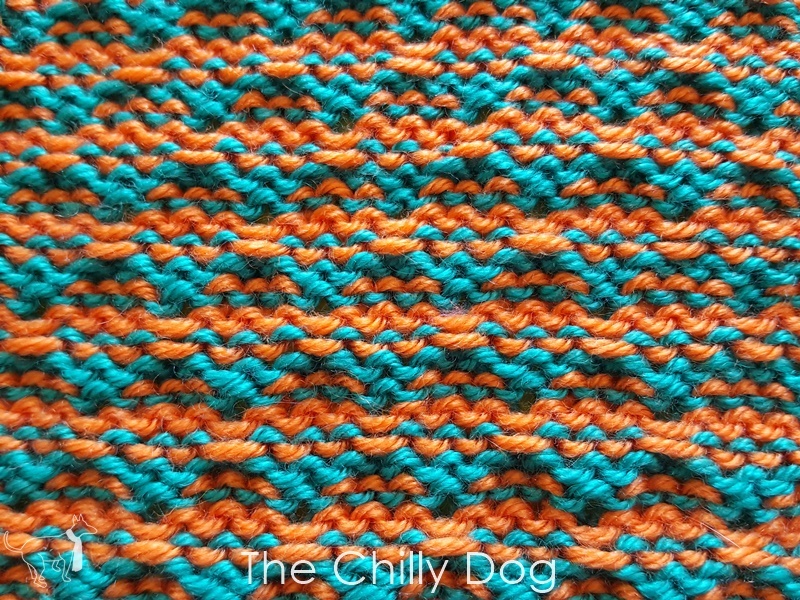 Ready to try a pattern incorporating the Brick and Mortar Stitch? You may enjoy "1 Sock, 2 Sock, Red Sock, Blue Sock" from my pattern shop. 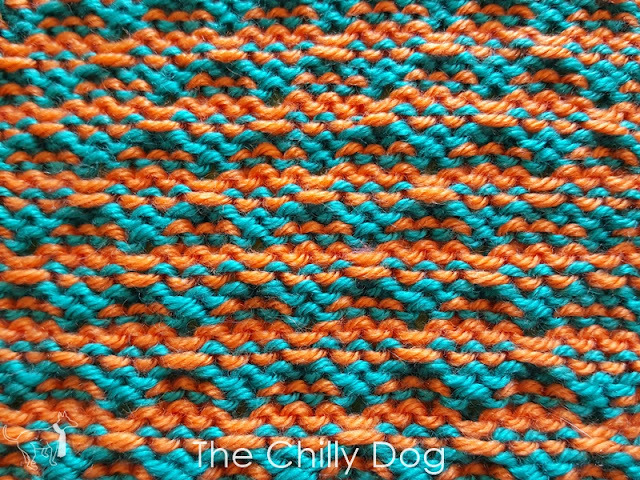 The color work in the knit Brick and Mortar stitch is deceptively simple and wait until you see the "wrong" side.